I mentioned this book earlier but wanted to bring it up again. 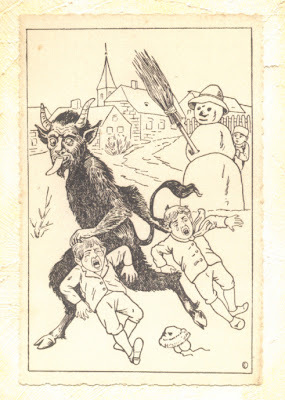 Monte Beauchamp, the editor of Blab, has collected over 150 of these strange Krampus postcards in this book. I don't know what of the previous works I've posted appear in the book as I don't have it myself but I can only assume the best of them. The page at Amazon has a selection of the Krampus artworks that appear in the book, below I've posted some of what is shown in the Amazon preview. 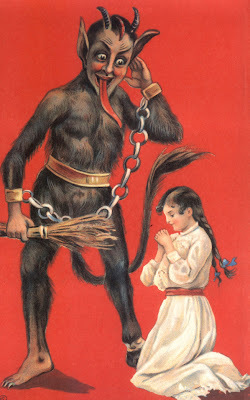 Obviously if you're a fan of Krampus, this book is a must have. Buy it from Amazon or Fantagraphics. 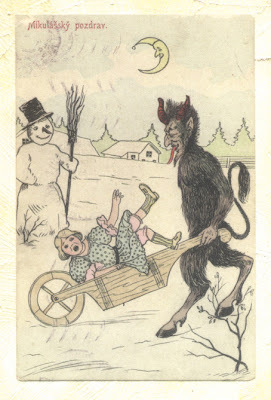 There is another book titled "Devilish Greetings" that is the sequel to the Krampus collection. 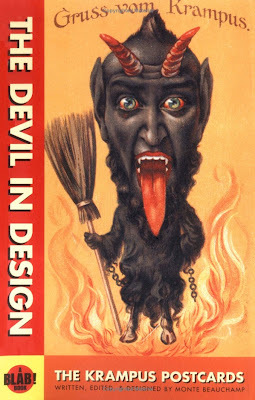 This book collects vintage devil postcards however these would seem to be regular horned devils and not of the Krampus variety. Get it from Amazon or Fantagraphics. 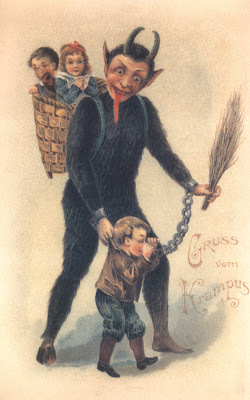 This sums up my presentation of vintage Krampus imagery. 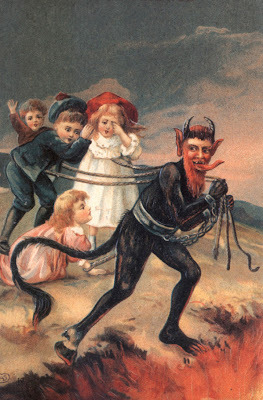 Tomorrow, for the last day of Krampus week, I'll be posting works from modern day interpretations of Krampus.